Capt. 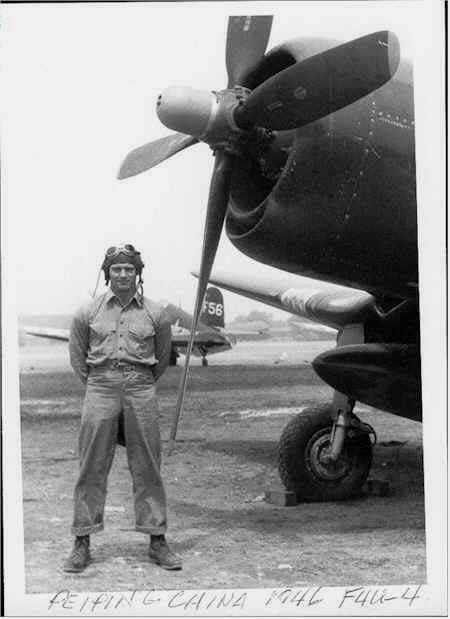 Parciarelli before a combat mission over Korea. Capt. 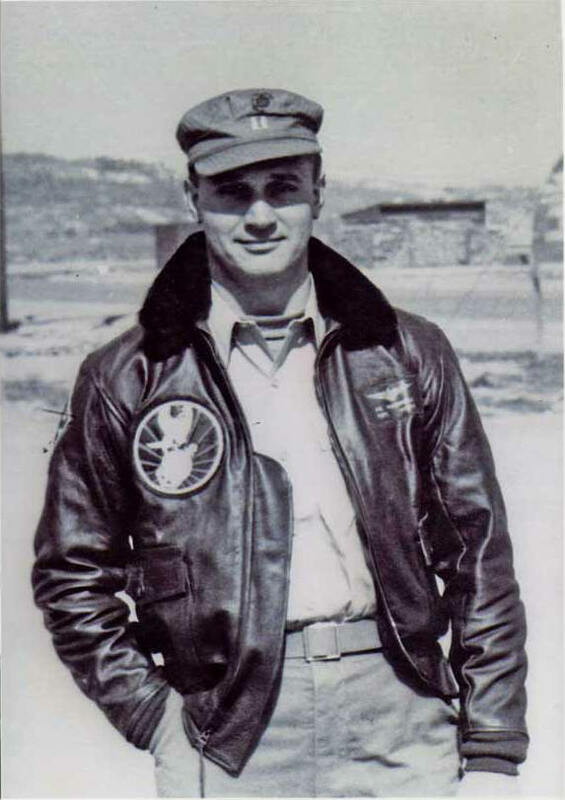 Parciarelli wearing the above G-1 in Korea. 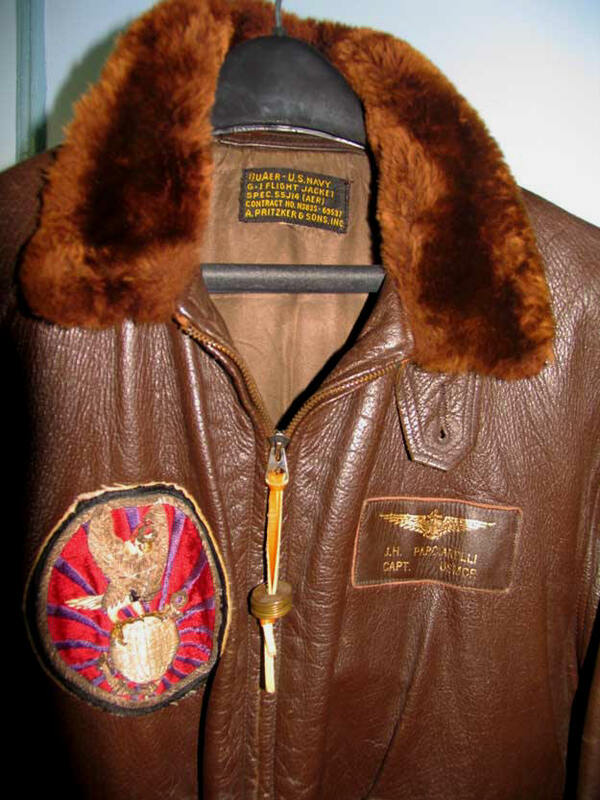 Note how much darker the mouton collar is when the jacket is freshly issued and before oxidation and fading occur in sunlight. Dashing, handsome Capt. 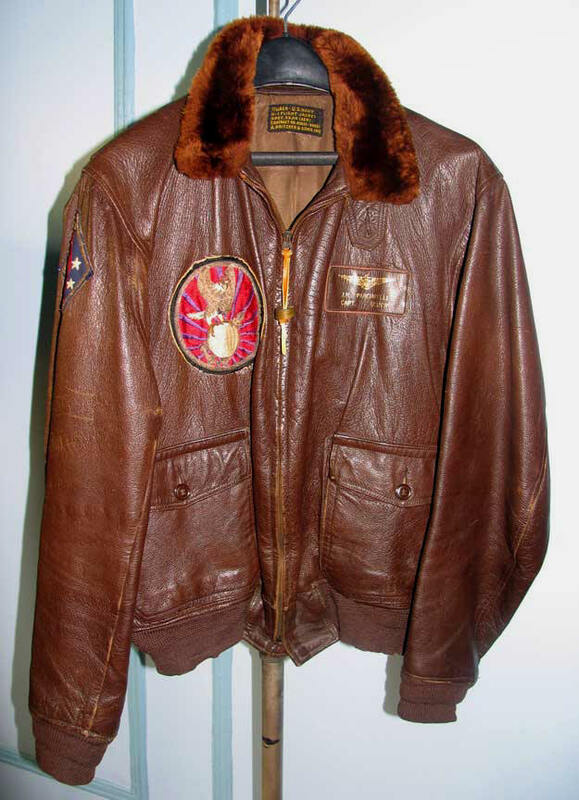 James Parciarelli, long-serving Marine pilot, flew the F2H Banshee, the preeminent jet photo reconnaissance aircraft of the Korean War (and a fearsome ground attack platform as well). The Japanese-made embroidery-and-bullion sleeve patch well illustrates the universal feeling that the many Reservists who were called up felt about the War and the country: it's a hand giving the bird in a (loving) parody of the 1st Marine Division insignia! 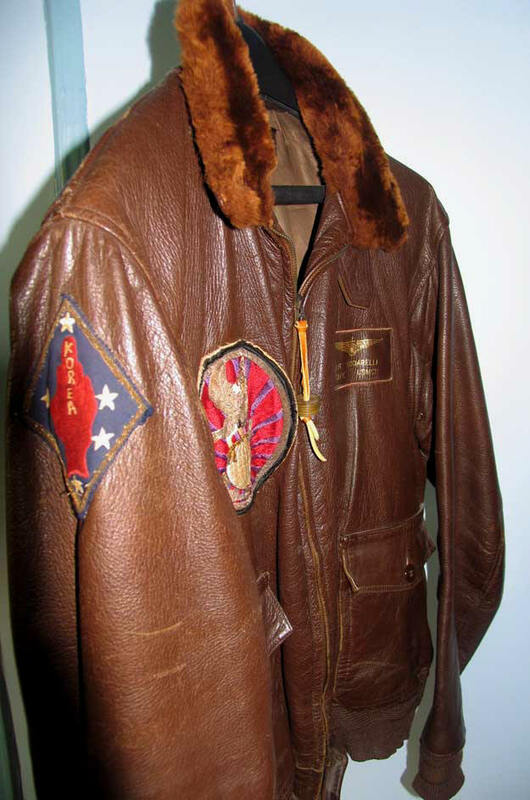 The squadron insignia is another spectacular example of the artistry of the bullion patches made in Japan during the Conflict. Visible in the top two shots is a stack of Korean coins attached by a leather thong to the zipper slider. 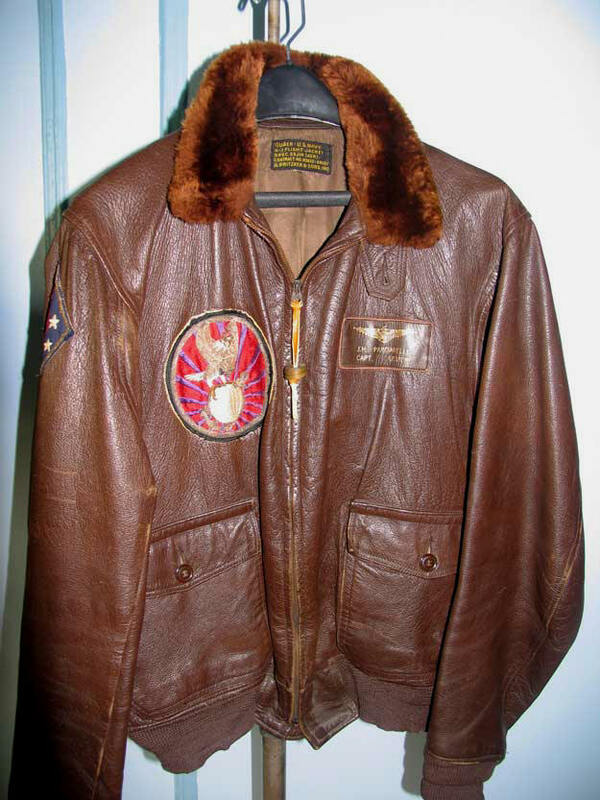 Jacket condition, as in many pieces in our Collection, is virtually mint. Contractor is A. Pritzker & Sons, whose military affiliations stretch back at least to the 1920s -- an early A-1 is Pritzker-labeled. 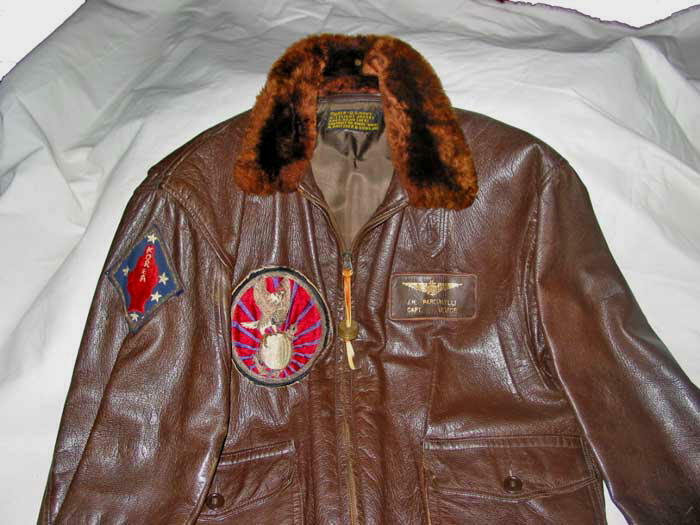 The company is also noted for its blue nylon USAF flight jackets in the 1950s. How inspiring to look back in time to Capt. 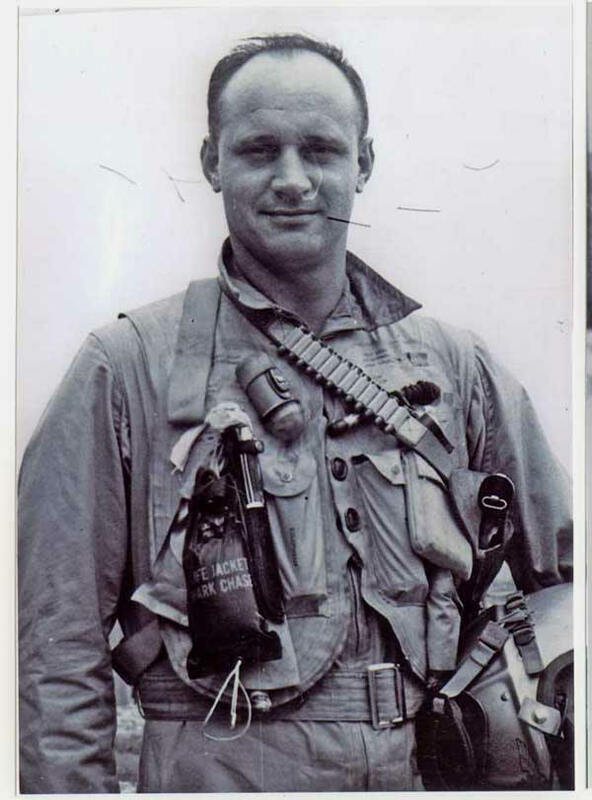 Parciarelli's All-American heroism and selflessness from our own age of repellent slobs like Michael Moore and his bedpan mates the Quislings who seek to undermine our freedoms behind the usual coward's smokescreen of free speech (freedom to lie, subvert) and mice-like identification with the oppressor and monster. We apologize for even mentioning these untouchables in the same paragraph as a Jim Parciarelli.